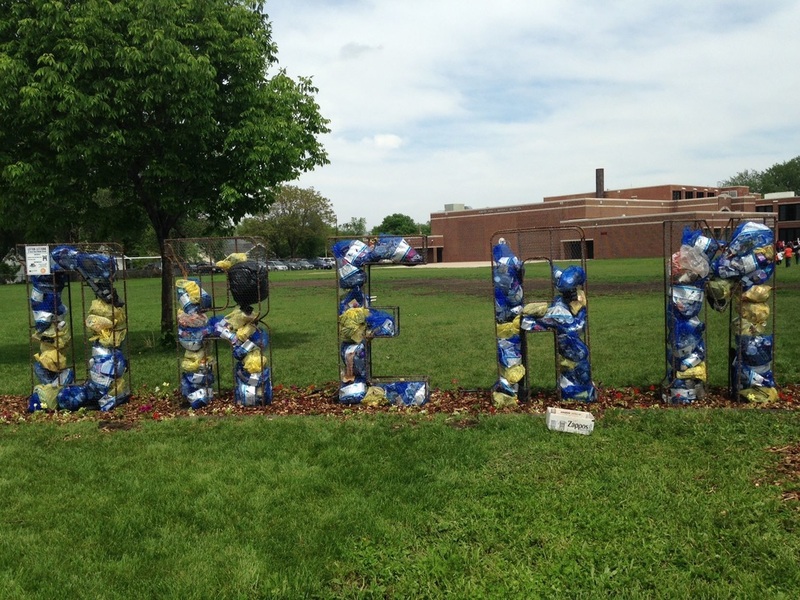 May 2015, Following a grant from Keep Iowa Beautiful, Artist Steve Murga built a 4th Litter Letter word in Des Moines. Students at Hiatt Middle School’s Day of Service completed the action phase of a Litter Letter service-learning project in the MLK Jr. Park neighborhood as part of a service day coordinated by Viva East Bank. The entire school participated to celebrate the community's DREAM! Thanks to Viva East Bank, Prairie Meadows Racetrack and Casino and Hometown Iowa Hall of Pride. Images courtesy of Keep Iowa Beautiful and Viva East Bank.